Ancient Civilizations: Have six hours to spare? Ancient history is fascinating, even if you don’t know it yet. But who has time to learn, read or go take a class? Think about all that dead time driving back and forth to work. How about using that time to expand your horizons? Yes? Check this out: Origins of Great Civilizations. This 12 lecture course gives a detailed introduction to the civilizations of the ancient Near East: Sumer, Babylon, Egypt, Assyria, Persia and many others. An enjoyable primer to the foundations of advanced societies. 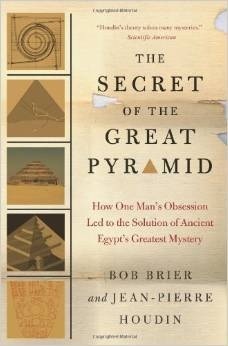 Update: Want to delve deeper into Egypt? Think about it, their civilization spanned over 3000 years. We haven’t even hit 300. Check out Great Pharaohs of Ancient Egypt for a great primer on the people who preceeded the Greeks and Romans. If you have ever read the mythologies of past cultures, they are full of wondrous and unbelievable tales of long-lost races, battling gods and supernatural conflicts. It is often said, however, that myth and legend have tidbits of truth. The problem is that many people will mine myth looking for something they supports their preconceived notion. Often those notions are reinterpreting the past through the glasses of the present. There is a popular image of an Egyptian hieroglyph bandied about that supposedly depicts electricity in the ancient world. The images are often poor reproductions of the real thing. Close-up photos of the actual panels quickly shows the Egyptians aren’t holding light-bulbs connected to a power system. There are many mysteries in the past, but when researchers do such poor presentation in their “evidence,” scholars are quickly turned off even if there are other valid theories presented. Uncovering the lost technologies and knowledge of the ancients is a popular, and valid, field of research, but it is pockmarked by the strange. Sure, even in the mainstream, theories come and go and acceptance of new ideas often goes through an inordinate level of scrutiny. But when people see spaceships and aliens in ancient carvings, is that what is really there, or are we seeing what we want to see? Sometimes our skepticism makes us miss the trees in the forest. The Viking sagas and their tales of journeys to the new world were once thought myth. Not anymore. That doesn’t mean cyclops or ogres once existed, but the Troy of Homer’s Odyssey certainly did. How can we tell the difference? Compare an account of Columbus’ voyage next to Tolkien’s Lord of the Rings. Most anyone will see the difference. Is it always that clear? Usually it is or you will at least be able to pull out the fantastical from the potentially real. We shouldn’t accept every theory without reservation. By the same token, it would be a mistake to exclude all fantastic happenings from history simply because we don’t understand them. Studying history, afterall, is a thinking enterprise.